THE DIARIES OF A MILITARY WIFE DURING THE SECOND WORLD WARIn 1935, Evelyn Shillington started a diary, little knowing the years of turmoil it would cover, and how insightful her experiences as an army wife would be to the following generations. Eve joined her beloved husband, Captain Rex Shillington, on his postings, giving her a unique view into army life. 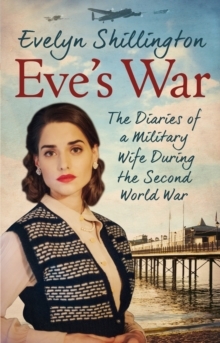 Through the abdication crisis, to the turbulent years of the WWII and ending in war-ravaged Italy, Eve documented it all with an inimitable spirit and brave humour. The diaries lay forgotten in an attic for years until an enterprising antiques dealer discovered them by chance.